Digitubes by Epitact - ideal for relieving pressure and preventing the formation of corns, blisters caused by over-heating. Anti-blister protection contains Epithelium Activa, it protects skin from friction, a source of overheating and blisters. Washable and re-usable - average usage 5 days. Suitable for diabetics. Pack of 2. Can be cut to size. The Epithelium Gel dressing can be used to redistribute weight and prevent excess rubbing and pressure on the sensitive tibial area. A silicone self-adhesive gel dressing used to protect against rubbing and pressure on sensitive areas. Ideal for redistributing pressure. Contains no glue as the gel formulation itself is adhesive. XL = 40mm Toe Width. 2 Units in Pack. Digitop by Epitact with epithelium 26 helps relieve pain and pressure on the toes and limits the development of hard corns. It is very thin so it won't take up much room in the shoe. 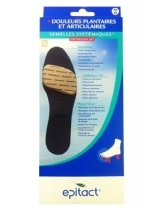 Patch for Hallux Valgus with Epithelium activ gel provides protection to the sensitive Bunion area by preventing friction. Ideal for Bunion pain relief. The newly designed silicon gel material has similar mechanical properties to some natural human tissues. Limits deviation of the big toe by improving its alignment. Prevents overlapping of the first toe onto the second toe, thereby decreasing pressure and rubbing. Available in 1 size - set of 4. These toe seperators, made from Epithelium Gel which has pressure-distributing qualities, spread the toe apart by a few millimetres to provide relief from excessive pressure and friction. Small Toes of 6 – Large Toe of 4. 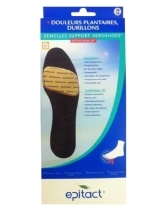 Bunion Protection Pad (protection for Hallux Valgus) provides excellent protection to the sensitive bunion area. The gel pad alleviates pressure and friction on the bunion. 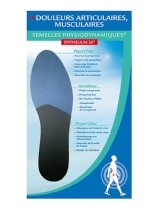 Systemic insoles incorporate the Aeroshoes Insole as the base support and Epithelium 26 in the plantar area. With the added Physio Shock on the heel area lessening the burden on the spine, the three materials combined act systematically for maximum comfort. Can be washed daily. Priced per pair. Prevent and relieve pain in the front of the foot: thin or hard sole due to ageing, burning, calluses, etc. 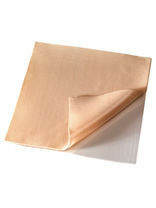 Discreet and very thin, they are specially designed to fit in all of your open or heeled shoes. 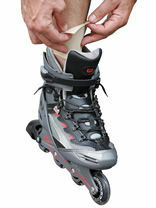 Invisible, they are effectively kept in the shoe by adhesive. Hammer Toe Cushions by Epitact allow the toes to stretch comfortably and they prevent the formation of soft and dorsal corns. Their shape means they adapt perfectly to the space located under the toes.